 TROY — Gloversville used an early barrage of three-pointers to gain a big advantage and carried that to a victory on Sunday in the Class A quarterfinals at Hudson Valley Community College, beating Queensbury by a final score of 68-56. The Dragons jumped on Queensbury early, hitting seven threes in the first quarter alone to obtain a 15-point lead at the end the first, leading 26-11. Julien Deumaga hit three of them, while Dante Bouchard and Joey Rowback hit two each. This, along with great defense, allowed them to grab momentum. Gloversville shot 7-10 from three in the first eight minutes. The Dragons did cool off a little bit in the second quarter and allowed Queensbury to trim their deficit to as little as seven at the break. Gloversville led by around 10 for the majority of the way, and a late run in the final minutes of the game assured them the victory. They went on a 9-0 run during the fourth quarter that increased their lead from 10 to 17 as the time ticked away. “I’ve been watching games here all weekend where teams have a big lead, and they let teams creep back into it, so it was important at the start of every quarter to let the guys know ‘hey, it’s a 0-0 ballgame, let’s go out and win the quarter.’ We did that enough,” Kucel added. It was Bouchard, who had two early threes, coming up big for the Dragons all game. He finished with a team-high 31 points, one of three on his side to finish in double figures. Deumaga finished with 15, and Rowback had 11. They also combined for eight of Gloversville’s nine threes on the day. “We’re a shooting team. We revolve around the three quite a bit, and we make shots, so we try to get each other open and shoot the ball,” Bouchard said. For Queensbury, the Bleibtrey brothers combined for 37 points. Elder brother Cam scored 19 in his final high school game, and younger Bryce, a sophomore, had 18. Gloversville advances to the Class A semifinals with the victory. They will take on either top-seeded Amsterdam or Bishop Maginn in the next round. That game will be played on Wednesday at the Cool Insuring Arena in Glens Falls, with tip-off scheduled for 7 p.m.